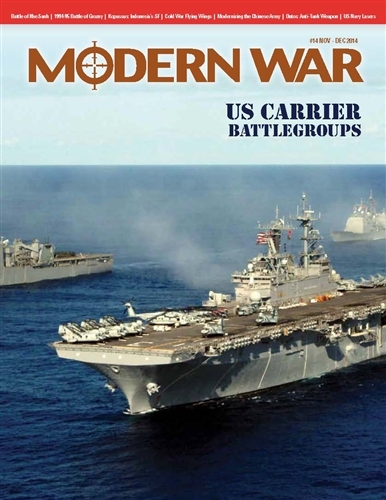 Carrier Battlegroup puts you in command of a US Navy carrier task force operating against the Soviet fleet in the North Atlantic in the 1980’s. This is a solitaire game, played in scenarios. The player must accomplish the scenario’s Objective, which will be generated at random at the start of the scenario. You, the player, must manage your carrier, its air group, and your escorts. As you operate your battlegroup, you will encounter various Soviet warships, aircraft, missiles, and unexpected opportunities and objectives. These are represented by Incident chits. 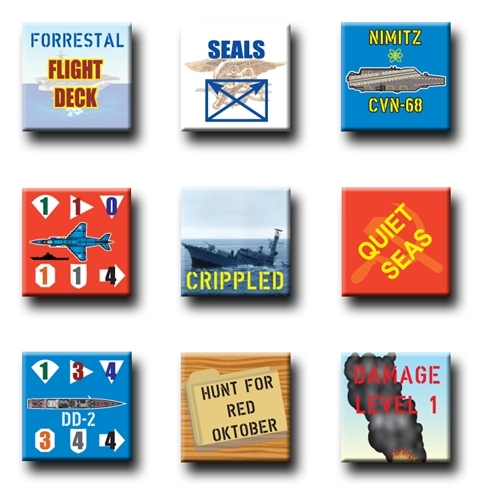 The game presumes that you are seeing the situation from the bridge of an aircraft carrier. 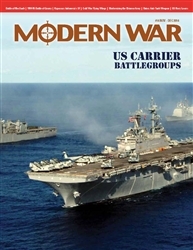 Carrier operations are shown in considerable detail, while other US Navy and opposing Soviet actions are more abstracted. 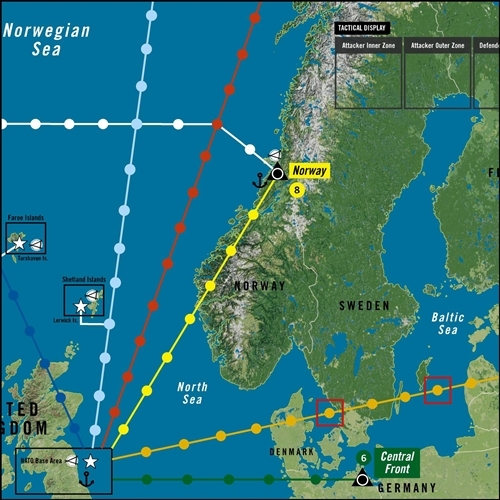 The possibility of running into enemy forces will be increased via the Alert Level, representing how much the Soviet Navy’s command is concentrating its resources against your task force. When contact is made with enemy forces, you will go to the game’s Tactical Routine to resolve combat. A scenario ends when you reach your Objective, where you must use your boldness to accomplish the final objective.